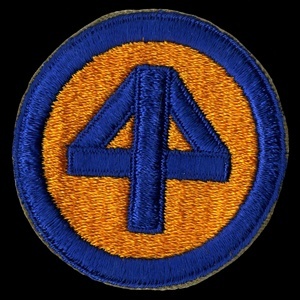 The History: The 44th Infantry Div it was sent to the European Theater in September of 1944. 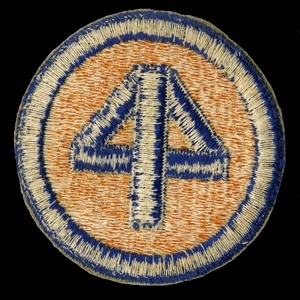 Their first action took place in the Vosges Mountains, of France, where they liberated the city of Strasbourg, where they fought near Metz, and later penetrated the Rhine River, near Worms. They then fought across Germany, and into Austria, when the war ended. They were sent back to the United States for redeployment to the Pacific, but the war ended before they were sent to the Pacific.